I’ve been looking into doing live streaming of the panel rebuild work on the F-15. Basically this would be a live stream of me working out the panel wiring, wiring up the connectors and adding the harnesses to the main side console harness. I’d be narrating what I’m doing as well as answering questions from folks over chat – I’ll be using Twitch to handle the stream. When I firm up a schedule, I’ll post information here as well as in the “usual” places, such as SimHQ, the simpits-tech mailing list and likely Facebook. Gene, Paul Miller here, haven’t talked to you in a very long time! 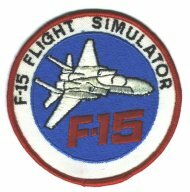 Please email me back asap about an opportunity to use your F-15 on an upcoming very exciting event, and to catch up!